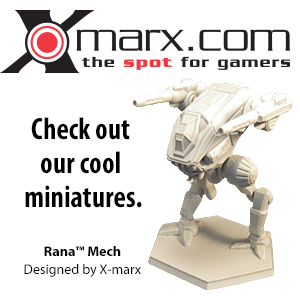 The MechWarrior Online (MWO) game by Piranha Games, Inc. (PGI) offers players some special kinds of playable BattleMechs that perform different in the game than the standard 'Mech designs they are based on. One notable sub-group of these special 'Mechs are the so-called "Hero 'Mechs". Within the MWO game, Hero 'Mechs are exclusive variants which can only be purchased with real money in what is otherwise essentially a free-to-play online game. They offer a unique paint scheme, a per-match C-Bill booster (currently 30%), and a custom hardpoint layout. The Hero 'Mechs were originally based on certain individual named 'Mechs from established BattleTech lore or the otherwise unnamed individual 'Mechs of certain famous MechWarriors, especially the "Notable 'Mechs and MechWarrior" sections from Technical Readouts (and here, from the seminal Technical Readout: 3025 in particular). It should be noted, however, that the customized configurations of these 'Mechs and in some cases also their names were created for MWO; in the original source(s) there was usually no indication that the 'Mech in question was anything other but a regular model. 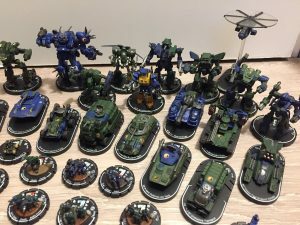 Some new Hero 'Mechs that had not previously been mentioned in BattleTech lore at all were created for MWO . Notably, the descriptive fluff texts for the Hero 'Mechs have been declared fully canonical for the BattleTech universe by then-incumbent Catalyst Game Labs Line Developer, Randall N. Bills, who also provided most if not all of these texts. That means by extension that the 'Mechs as such are canon even when not otherwise mentioned in BattleTech lore, but only to the extent described in the accompanying fluff text. By contrast, their in-game stats and appearance are apocryphal unless mentioned in the fluff text, and is case of clashes with established BattleTech lore such as anachronistic equipment are overruled by the established canon. MWO has since published several original 'Mech designs, and Hero 'Mechs were created and fluffed for these as well. Assistant Line Developer Ray "Adrian Gideon" Arrastia expressly clarified the original designs from PGI are not canonical, regardless of any Hero 'Mechs or Hero 'Mech fluff associated with them. This page was last edited on 8 December 2018, at 10:16.